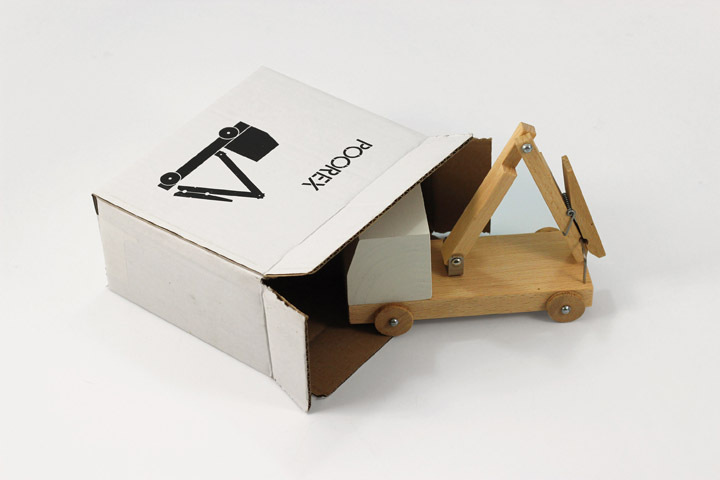 The Poor Toys is a set of toy cars made of beech wood utilizing common household items such as: a clothes peg, washbasin plug, a sink sieve, and a brush to scrub the floor. 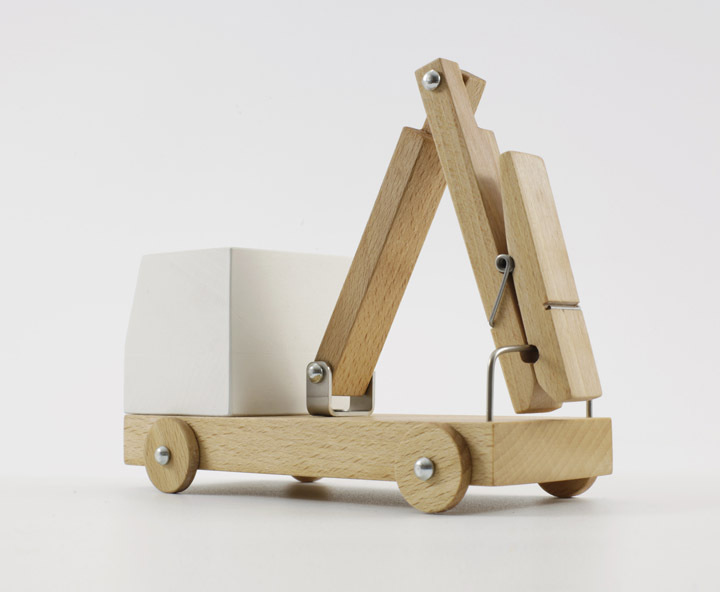 As the wooden toy triggers bewilderment, it intends to amuse and inspire to play. 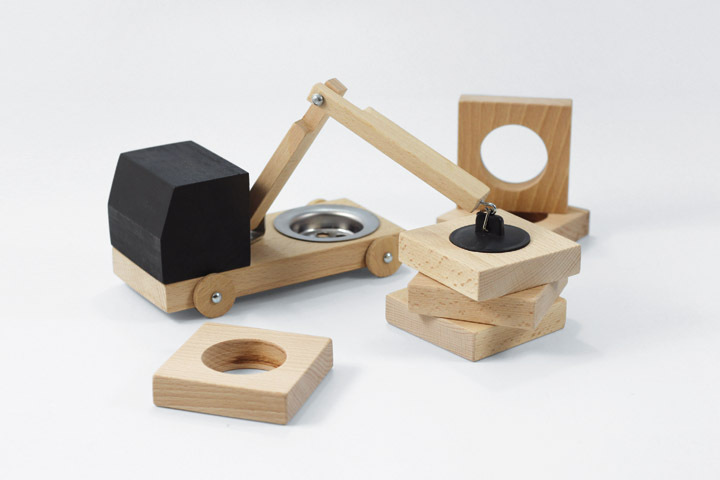 The recipients may be both children and their parents, who certainly can find ways to utilize the toys that will suit their pragmatical needs. 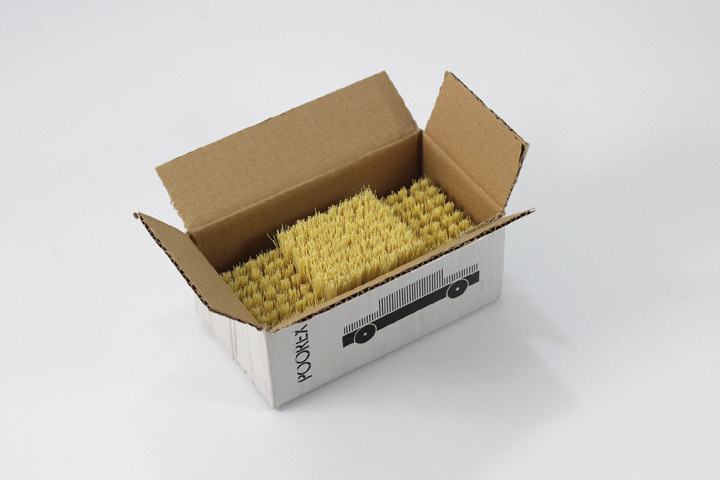 The Peg Car can serve as a desk organizer holding sticky post-it notes, and the Brush Car can become a perfect business card case. 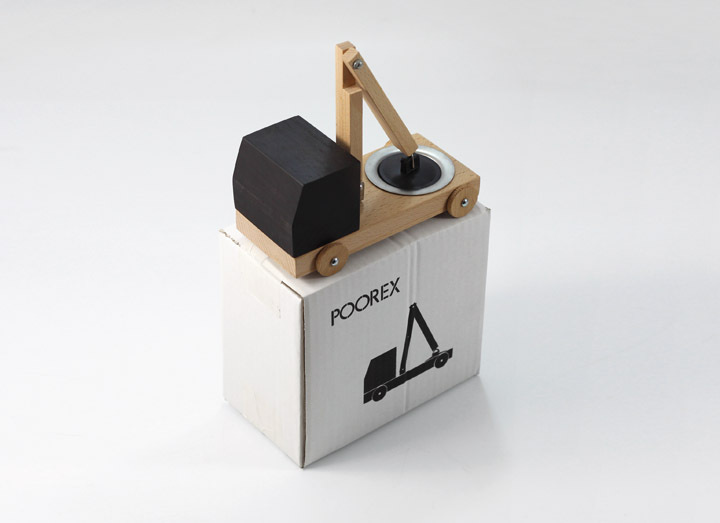 The Peg Car is a toy car, which is a combination of excavators with a clothes peg. Playing with it, one can attach different items to the clip, moving from place to place, playing the role of a housewife or Bob the builder. 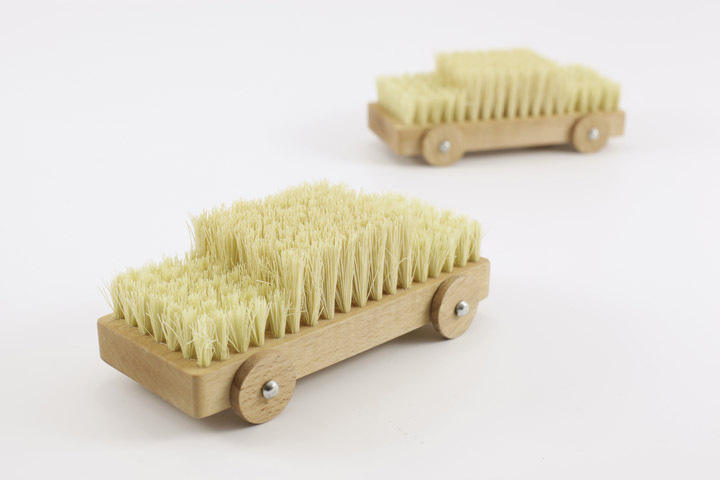 The Brush Car is a limousine that, while playing, reminds us about household chores and maintaining cleanliness. When you get bored, you can use the brushes for polishing shoes or the floor. The Sink Car is a version of a crane for fans of bathroom fittings. Using it, you can hone your skills in arranging large cuboids one on top of another, and, at the same time, develop a plumbing passion.